Edited by C.M. Mayo: a portrait of Mexico in a dazzling collection of Mexican fiction and prose by 24 Mexican writers, many translated for the first time. 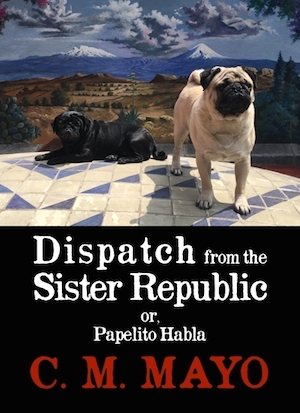 A longform essay about the Mexican literary landscape and the power of the book. An eyewitness memoir of Mexico's brief, sparkling but doomed Second Empire under Maximilian von Habsburg: A handwritten manuscript circa 1910, from the Bancroft Library, University of California, Berkeley. Originally published in Kenyon Review, Summer 2004. A tornado deposits what may or may not be a temple in John and Jane Smith's backyard. The destinies of all concerned are most peculiar. You do not need a Kindle to read Kindle editions. If you have an iPad, you can download a free Kindle reader in the app store. An embryonic and frequently updated list for English language readers. 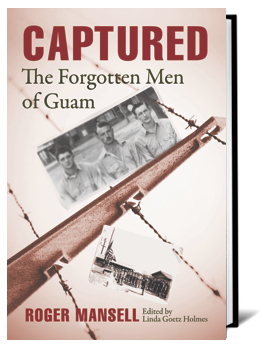 Roger Mansell, the pre-eminent historian of Pacific POWs, devoted the last years of his life to unearthing and telling this forgotten story, and after his death, the work was completed by his colleague, the esteemed POW author Linda Goetz Holmes. Chronicling a lost chapter of World War II, Captured promises to be an authoritative, fastidiously researched and compelling read.